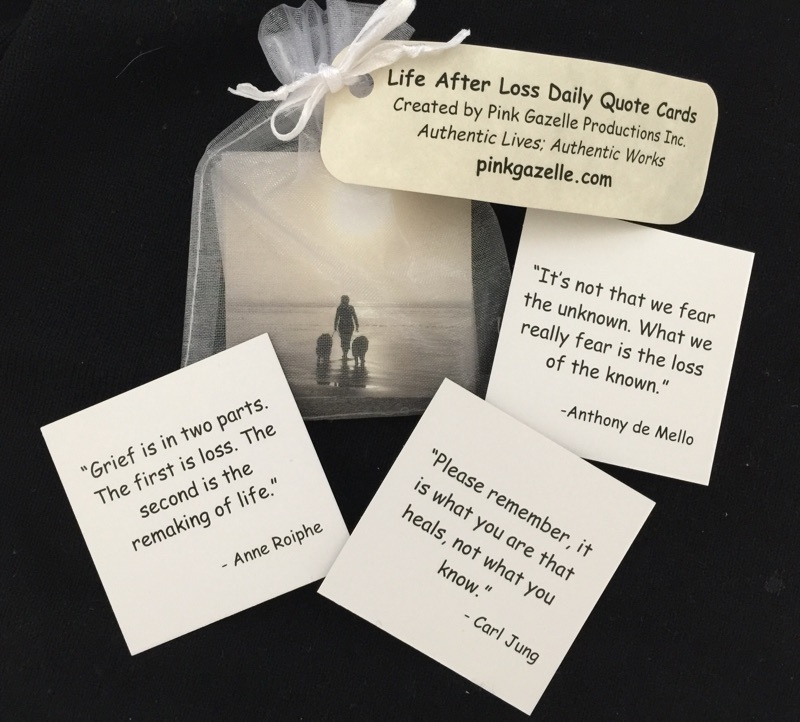 What Are Life After Loss Daily Quote Cards? There are 30 cards in a set. 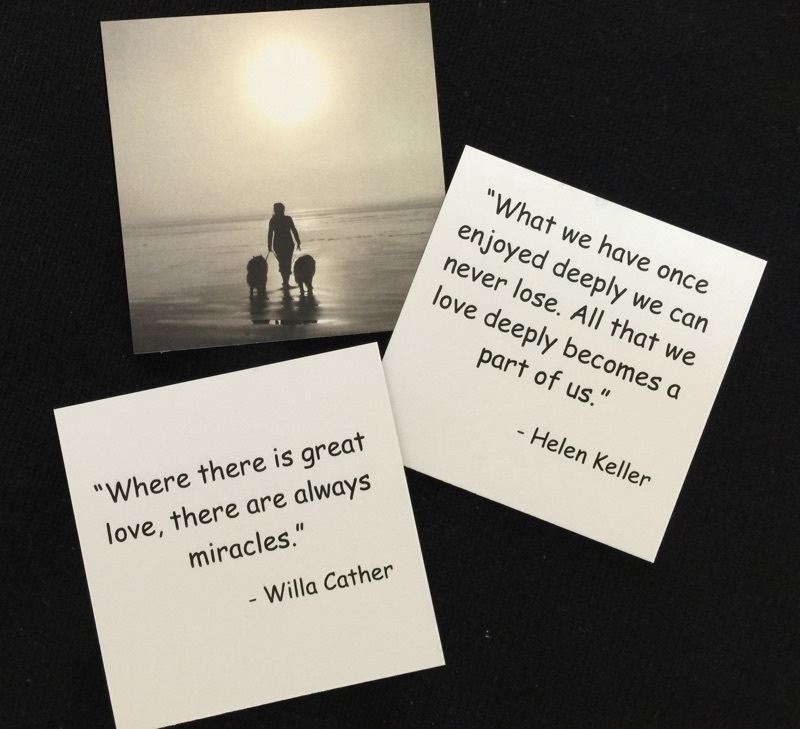 Each card has the same photo on the front but on the back is a different quote – all relating to loss in some way. This collection of thoughtful & inspiring quotes were designed to help with healing after a loss. The cards are 2.5 inches x 2.5 inches and fit nicely in a small bowl – with the idea in mind to read one per day. The photo is of Maryanne walking her beloved old dogs, Sable and Soda, on an Oregon beach. The photo was taken by Maryanne’s friend, Terri, in 2010. 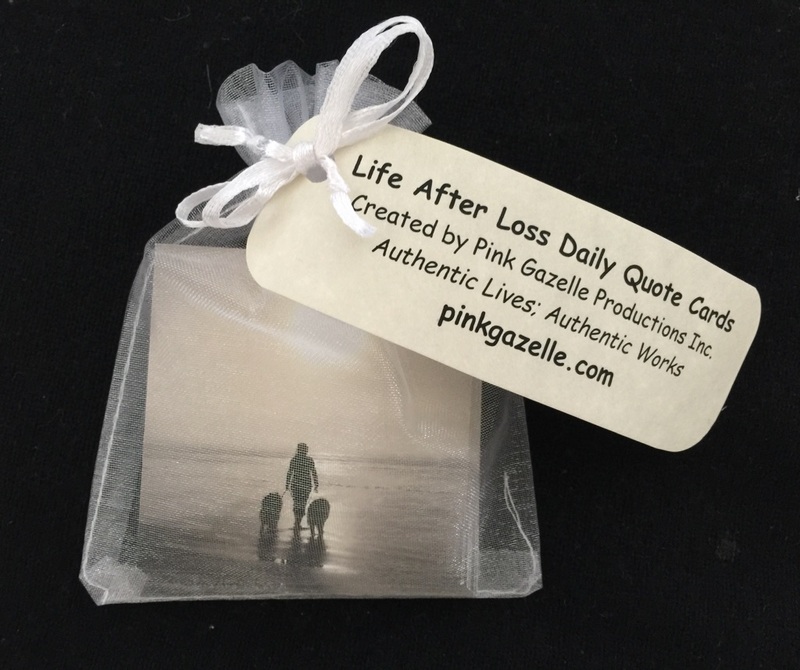 The Life After Loss quote cards are available for purchase through the Pink Gazelle Productions Inc on-line store! 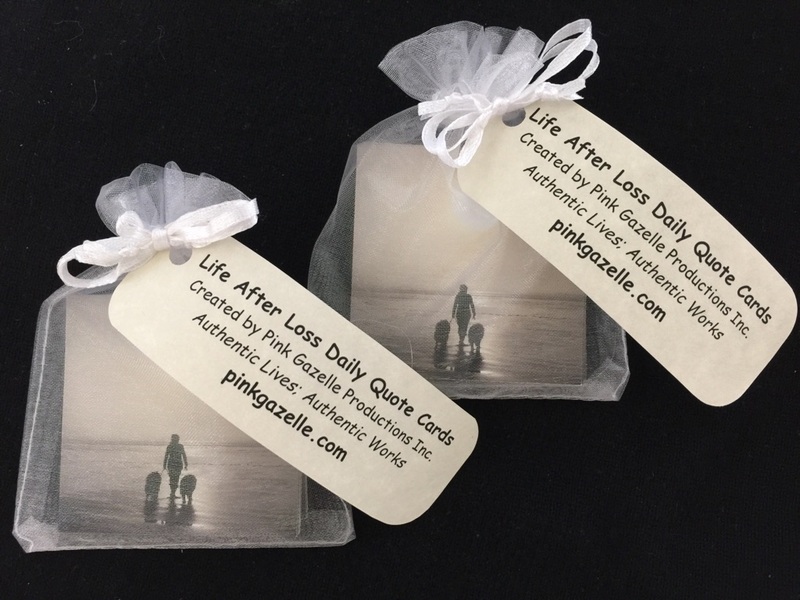 Life After Loss – Lessons Learned from Love, Loss & Liberty is a series of blogs written by Maryanne Pope, author of A Widow’s Awakening. The purpose of the blogs is to explore the possibility that when we experience a significant loss in our lives – be that the death of a loved one, the end of a marriage, the loss of a job or end of a career, our health, our home and/or our money, etc – as difficult and painful as that loss may be, there is also a tremendous opportunity for learning, growth and change for the better. But it takes willingness and courage to adopt this attitude. For further details, here is the link. Please click here to subscribe to receive the blogs. If you are a quote-lover, you might also like our Wise Owl Wisdom Inspirational Quote Cards! 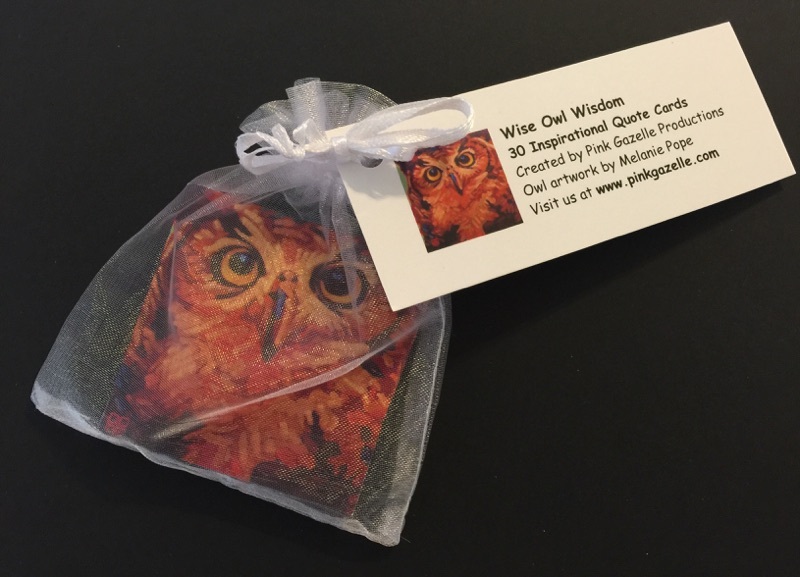 Here is the direct link to purchase the Wise Owl Wisdom cards.